You’ve probably noticed how quiet I’ve been – I apologize for that! Believe me, it’s all because of work, and that’s a good reason! We just shipped our first wholesale order, which was huge (to me) and this adventure will NOT be duplicated until 2015, when we’re set up to seriously seek wholesale accounts. and this first huge order gave me a glimpse of how easily that might happen! If you’re as big a fan of Call The Midwife as I am, you will be SO excited that Season 3 has begun on PBS stations all across the US! Our friends are back, and the art direction and costumes in this season are absolutely amazing! They’re also moving into a new location (still in Poplar) with a new Community Clinic where new ways of dealing with the pain of childbirth are taught, along with many other new lessons. So, ladies and gentlemen, here are all eight colors of our newest NO SPOILERS collection, “Midwife Speaking”, which I’ve based on characters and incidents of the upcoming season of Call The Midwife. but this is going to be a TREMENDOUS season. I’m releasing all 8 colors tonight so folks can get the mini skein set at once. Besides, I’ve been SO overwhelmingly busy with the dyeing (good) and the designing (also good) that having time to do eight separate days of blogging for “Midwife Speaking” isn’t going to be happening! I hate to say goodbye to colors that are selling so well, but the truth is that I just cannot dye so many different colors all at the same time – so for my own sanity we’ll only have two NO SPOILERS color sets going at any one time, and will keep a few colors from each set if they prove to be good sellers! I really do miss you when I’m too busy to write! I love “Call the Midwife” and I love the new colors…it would be incredibly hard to choose between them, so I’ll cross my fingers that I can win a mini-skein set. And if I don’t, I may have to be back to buy one anyway! Love the ‘Community clinic’ colorway….just might need some! And I think I’ll catch up with the show..I’ve heard good things about it! Glad I bought my 221B sets! I’ve already set the DVR to record them since I haven’t seen the new season on sale yet. I can’t wait to see them. Should I be knitting something specific during the episodes? Baby things? Or something for the midwives? We’d say something for the midwives! They seem so under-appreciated! Chummy, so glad you’re back. You are the dearest, wittiest person and the actor who plays you steals every scene she’s in. Beautiful colors! I would love to win a mini skein set. Thanks! What wonderful colors! I don’t think I could choose a favorite. I love the show Call the Midwife, and I love your yarn colors. Jenny Kissed Me or Peace rose are my favorites. I would be thrilled to win mini-skeins! Community Clinic is gorgeous! Curious who the large wholesale order is for!? It was for A Major KnitWork in Van Nuys, CA. 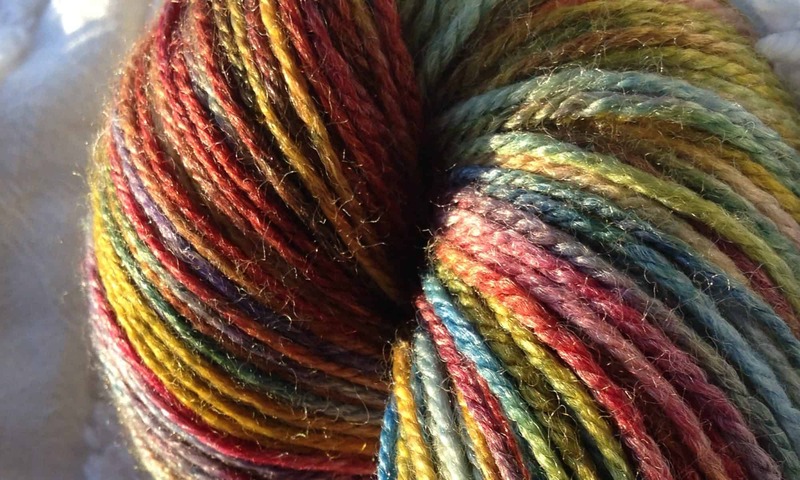 The LA County yarn Crawl going on this weekend. I love this show, and I love all the colors! I can’t wait to see the new episodes. I’m loving all the colours in this set. When I first started watching the show, I was so taken by the beautiful twin sets, cardies and jumpers I’ve started a search to find vintage patterns! Previous PostPrevious Sooner Than Expected! Next PostNext Win A Mini Skein Set!